The M.J. Moran, Inc was formed in February of 1978, and has steadily grown in size since then. Our repeat customers include Hampshire Property Management Group, Smith College, Mount Holyoke College, Amherst College, Eaglebrook School, Northfield Mount Hermon, Holyoke Hospital, and Cooley Dickinson Hospital; along with many other local general contractors. M.J. Moran, Inc is dedicated to the success of our employees, customers, and associates. Through teamwork, experience, and education; we provide superior service and value. Our goal is to make every project surpass the client expectations. Click on the button below to see a list of MJ Moran's affiliations. Click on the button below to see a list of MJ Moran's accreditations. Safety is of utmost importance to the organization. 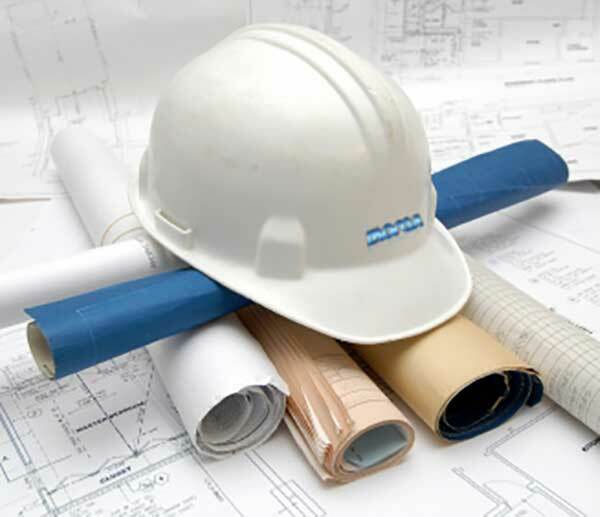 M.J. Moran is a member of the Western Massachusetts Safety Council and ABC Associated Builders and Contractors. All of our team managers are OSHA 10 certified. Having more than fifty years of experience in plumbing and heating; Jim began as a foreman, advanced to superintendent and estimator, before founding M.J. Moran, Inc. in 1978. The company licenses listed on website are held in his name, in addition many of our managers and field employees have individual licenses and certifications. A company veteran since 1981, Paul holds many licenses including: MA Plumbing and Gasfitting, MA Pipefitter, CT Plumbing, and MA Sprinkler. He is also a MA Refrigeration Technician and a CT Sheet Metal Contractor. Learn more about our Safety Standards here. Growing with the company since 1981; Mike supervises the mechanical and site utility divisions, He is a member of the American Welding Society and holds a MA Plumbing license, MA Pipefitter’s license, and MA Hoisting license. Another key team member to join in 1984; Chad holds many licenses including: MA Pipefitter, MA Hoisting, MA Sprinkler, MA Construction Supervisor; and most recently he achieved his Sheet Metal Master's designation. He is a certified welder and proud member of the American Welding Society. A team member since 1984, Sue has run the office through the company’s growth (and growing pains). She handles payables and receivables; and is a key voice in our vision for continued growth. 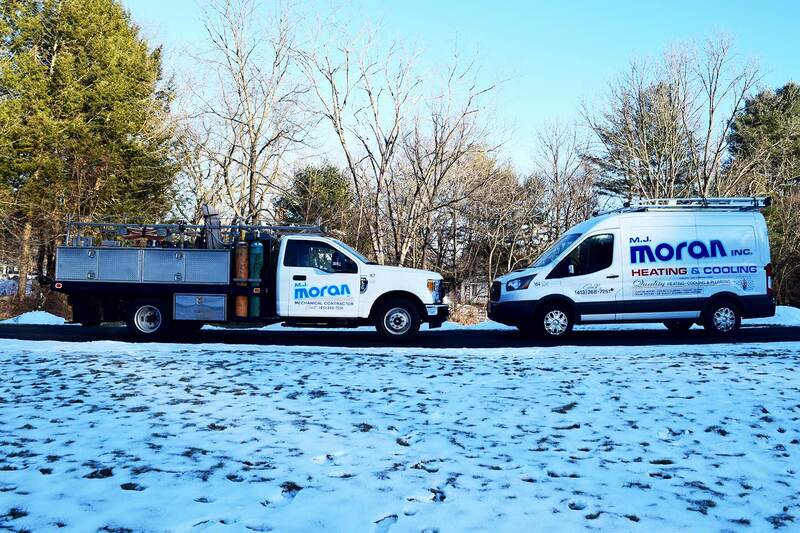 Joining the M.J. Moran team in 1984; Alan holds a MA Plumber’s license and MA Pipefitter’s license. Alan Manages many of our larger projects on the commercial division. Joining the company with his family name in 1996, Kyle has advanced to a supervisory role. With that said, you will still often find him still getting his hands dirty working ON projects. He seems to sneak a bit ‘under the radar’, but he is instrumental in the company’s success. Kyle’s a licensed journeyman plumber, unrestricted master pipefitter, has his MA Hoisting License, and has a master sheet metal license. In 2005 the company welcomed Scott’s vast knowledge of design and installation of plumbing, HVAC and geothermal systems; as well as virtually any type of residential new construction, retrofit, and service. He has a MA Master Plumbing license and a MA Sheet Metal license. He is also proud to be North American Technician Excellence (NATE) certified, International Ground Source Heat Pump Association (IGSHPA) certified; and to have an EPA card. With several training certificates and MA Plumbing and MA Sheet Metal licenses, plus an EPA card; Brian has been a key manager with the team since 2000. Brian and our team of service experts are prepared to service and maintain almost any plumbing or HVAC equipment with outstanding care and professionalism. At M.J. Moran we look for the most talented supervisors; which we found in Jeff who has his MA Sheet Metal license, EPA card, and several training certificates. Jeff helps coordinate, manage and install most of the residential and light commercial HVAC projects. He has been a key member of our team and a large part of our success since 2002. Joining the company in 1997; Dan is proud to hold a MA plumbing license, and MA sheet metal license. He has worked his way into the office because of his ability to accurately estimate and coordinate job flow. Serving with the M.J. Moran family since 1989, Karl has a MA pipe-fitters license and a sheet metal license. Karl supervises many of our large commercial mechanical projects. A team member since 2001, Jeff handles the estimating and purchasing department for the commercial/industrial division of the company. Jeff has a MA pipe-fitters license and is certified through the Gould Construction Institute as a pipe-fitter instructor. Servicing our clients since 2002, Bob is the M.J. Moran in-house Mechanical Engineer and Designer. He brings over 30-years’ experience to the position. Casey is a Master Plumber and a Journeyman sheetmetal tech along with an EPA refrigerant certification. Casey has been with the MJ Moran Team since 2015 but has over 25 years’ experience in plumbing, heating, and air conditioning for residential and small commercial service, installations, and design build. Since 1995, Sue has helped keep the business running by managing the accounting. She handles human resources, insurances, payroll, pension and more. Just as important it is to keep our team happy by getting paid; it’s vital to keep our suppliers, vendors, and community partners paid as well. Thanks to Denise, with us since 1997, our Accounts Payable are managed impeccably. She is also responsible for securing permits and so much more. Heather works on the residential and small business divisions. She is also the friendly voice you will likely hear when you call our office during normal business hours. She also does billing, works on utility rebates and helps to schedule the service techs. She has been a team member since 2001.